Crock Pot Honey Garlic Chicken recipe is finger licking good. Well, it would be if you ate it with your fingers. 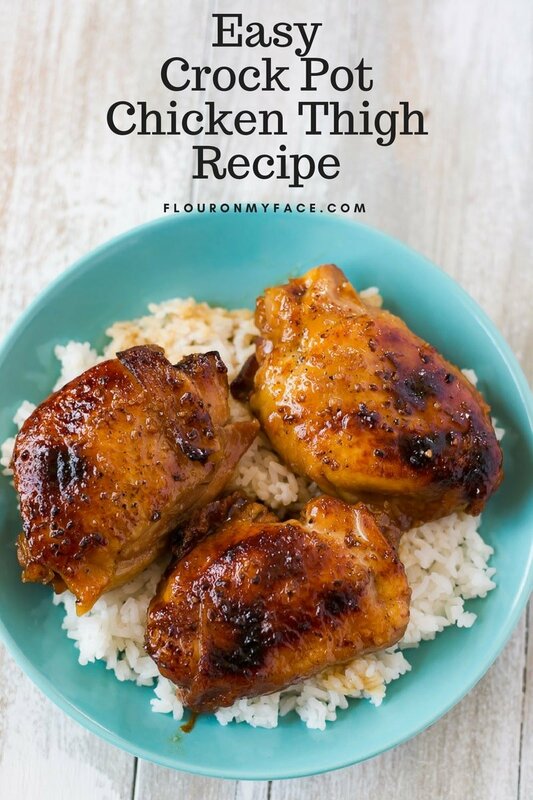 Moist and tender chicken thighs slow cooked in a honey garlic sauce and served over a bed of white rice is an easy dinner recipe you don’t want to miss. 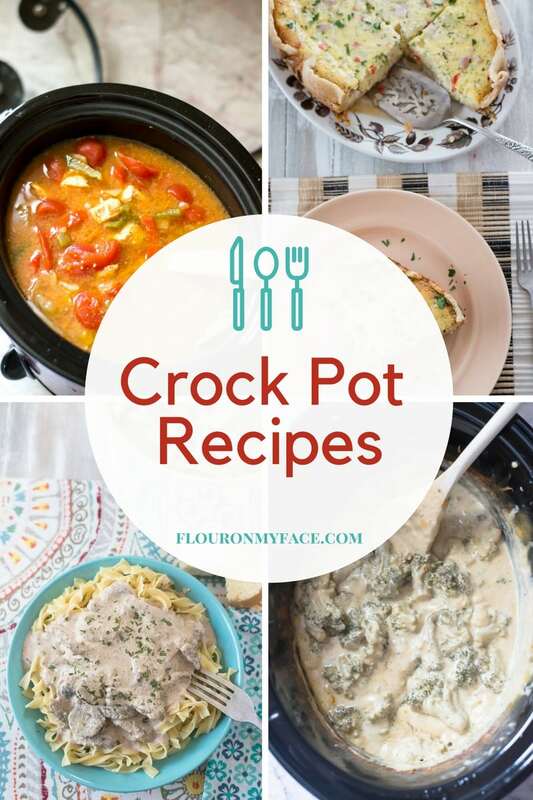 Why are Crock Pot recipes so delicious? I love the way a slow cooker cooks chicken and meat. 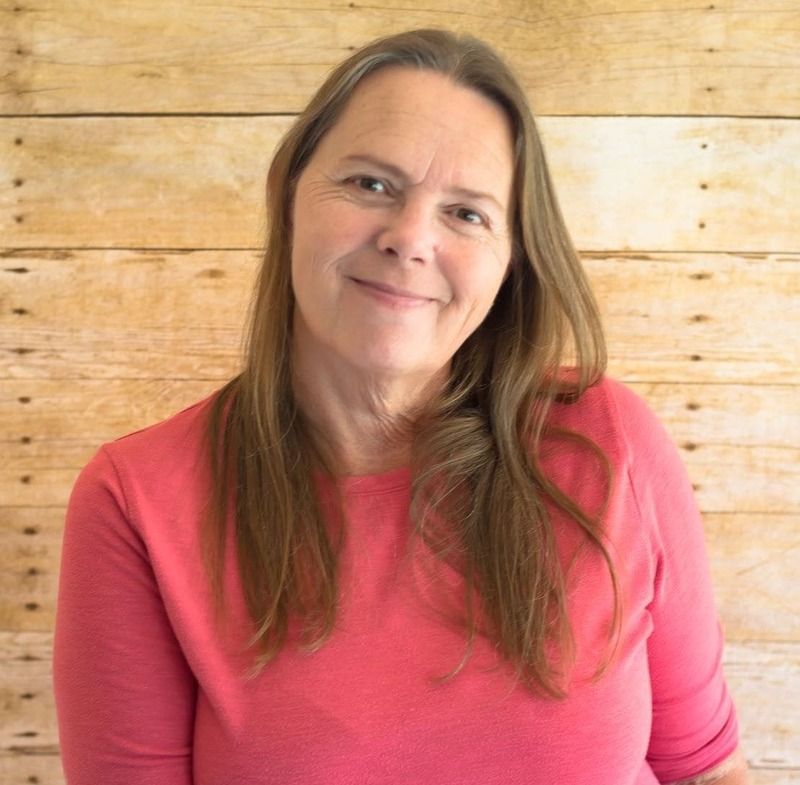 You always know whatever you put in your crock pot is going to turn out moist and tender. 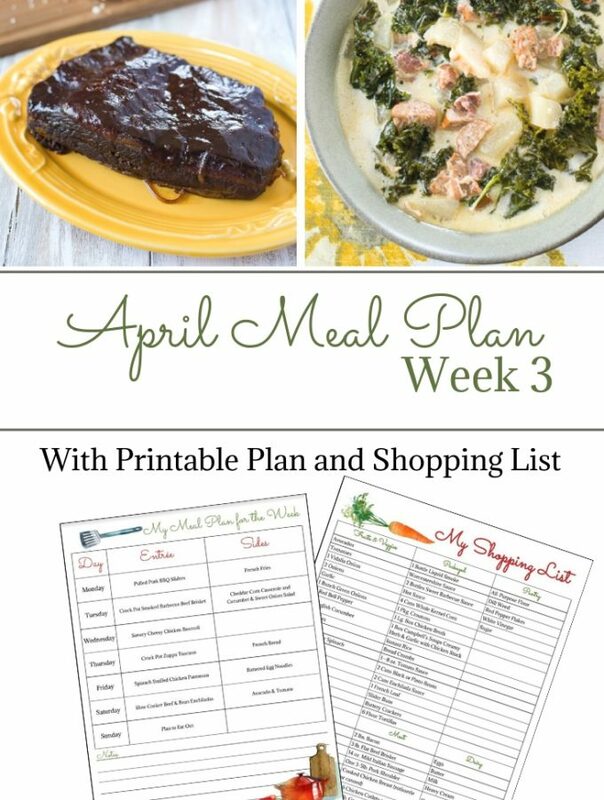 Slow cooking poultry and meats in the enclosed moist environment of a crock pot for long periods of time prevents the meats from drying out. It also allows the meat or poultry to absorb the flavors of the other ingredients like the honey and garlic in this honey and garlic chicken recipe. The only time I ever had a problem was when I cooked a crock pot recipe that called for cubed raw chicken. Cubed raw chicken cooks in just a couple of hours in a crock pot. I followed the recipes instructions and cooked the crock pot chicken recipe for 4 or more hours and the cubed chicken was so over cooked. 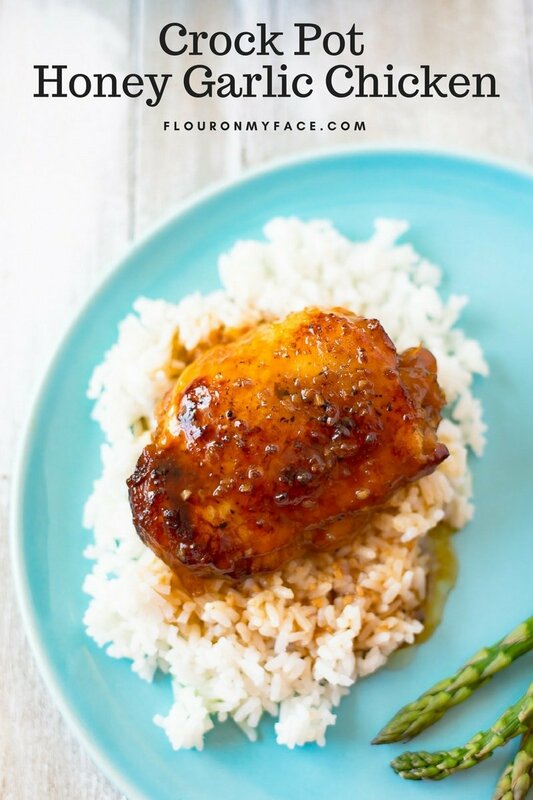 This Crock Pot Honey Garlic Chicken has a perfect blend of garlic and honey flavors. The chicken thighs turn out moist and fall apart tender. The secret to getting crispy and browned chicken skin in a slow cooker is use the broiler in your oven. Very rarely will the skin on chicken get brown and crispy when you cook it in a crock pot. The cooking environment inside a slow cooker is moist. That is why when you cook poultry and meat in a crock pot it turns out so moist and tender. A moist cooking environment will not usually give you a crispy chicken skin. 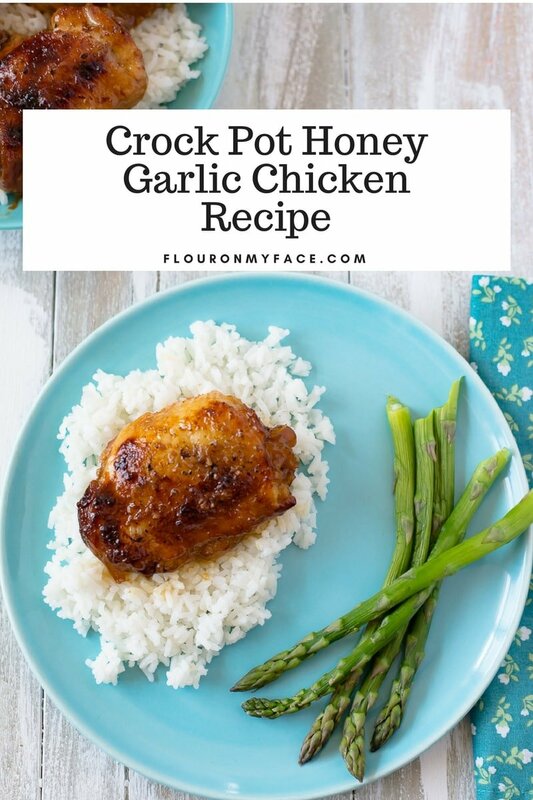 I used the Crock Pot Casserole Slow Cooker to slow cook my Crock Pot Honey Garlic Chicken recipe. Around the edges of the chicken thighs did get a little crispy, but not enough for my liking. Crispy chicken skin is one of the best parts of enjoying a chicken recipe. I removed the ceramic slow cooker insert from the base of the crock pot and browned the chicken skin under the broiler in my oven. It only took a few minutes, the chicken looks more appealing with crispy and browned skin and you know it tastes so much better. Place the chicken thighs skin side up in a 6 to 7 quart crock pot. In a bowl mix the melted butter, honey, brown sugar, soy sauce, minced garlic and lemon juice. Mix until combined. Pour the honey garlic sauce over the chicken thighs in the slow cooker. 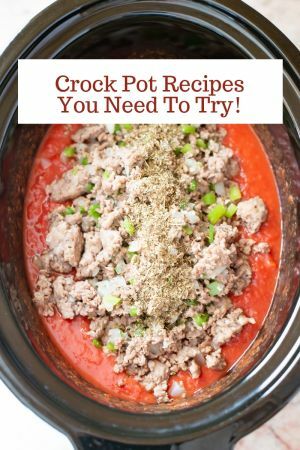 Place the lid on the slow cooker and cook for 4 hours on high or 6 hours on low. Or until the internal temperature of the thickest chicken thigh has reached at least 165 degrees Fahrenheit. (I actually prefer my chicken to be cooked to at least 185 internal degrees). Thirty minutes before the chicken will be finished cooking mix the cornstarch with the cool water. Lift the crock pot lid and pour the cornstarch slurry in and mix it into the juices in the crock pot. 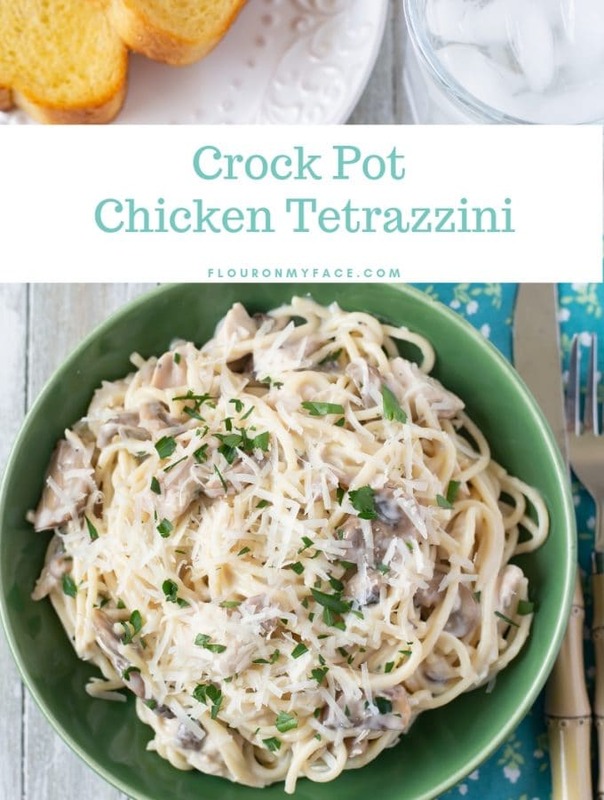 Recover and cook until the chicken is cooked through and the juices have slightly thickened. If you’d like to brown up the chicken thigh skin you can place the crock pot ceramic insert into the oven under the broiler for a few minutes as I have done. 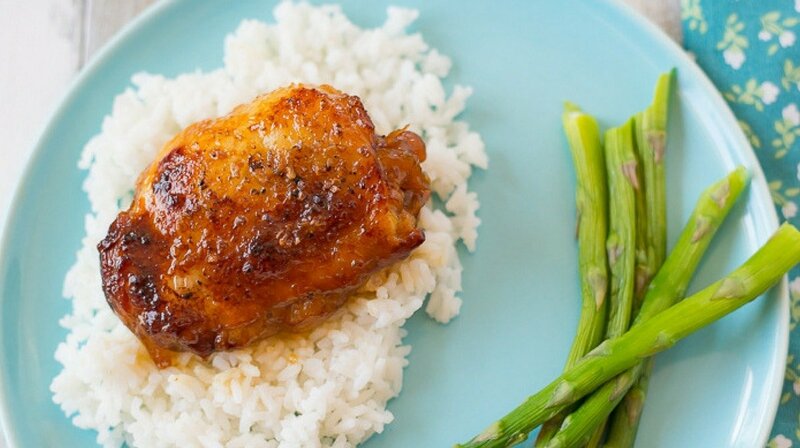 Serve the Honey Garlic Chicken Thighs over a bed of cooked white rice and drizzle the thickened juices over the chicken if desired. Crock Pot Honey Garlic Chicken recipe is finger licking good. Well, it would be if you ate it with your fingers. 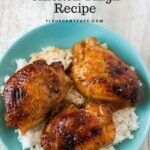 Moist and tender chicken thighs slow cooked in a honey garlic sauce and served over a bed of white rice is an easy dinner recipe you don’t want to miss. 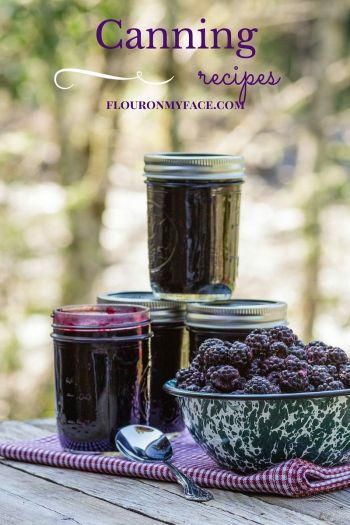 Flour On My Face has more than 190 easy crock pot recipes. 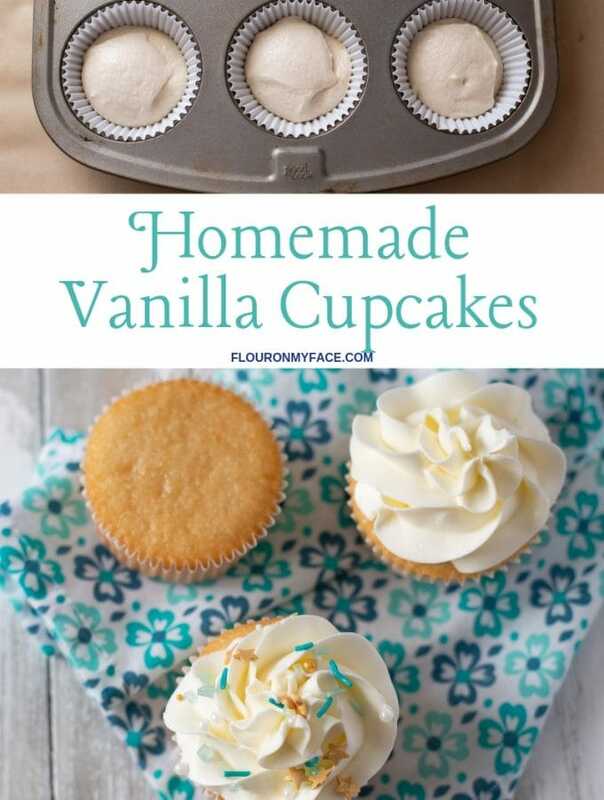 Check out the Flour On My Face Crock Pot Recipe page for the full list of easy crock pot recipes for busy Mom’s!